Union Printed, Hand Gripper / Massager, 2-in-1 Hand grip strengthener is used to effectively strengthen your hands, writs and forearms, Rolling Massage Ball Feels Amazing, Stress Relief and is a great solution for the tense, or those who just simply want to relax. This palm size Hand Gripper & Massager fits anywhere, pocket, purse, Etc. 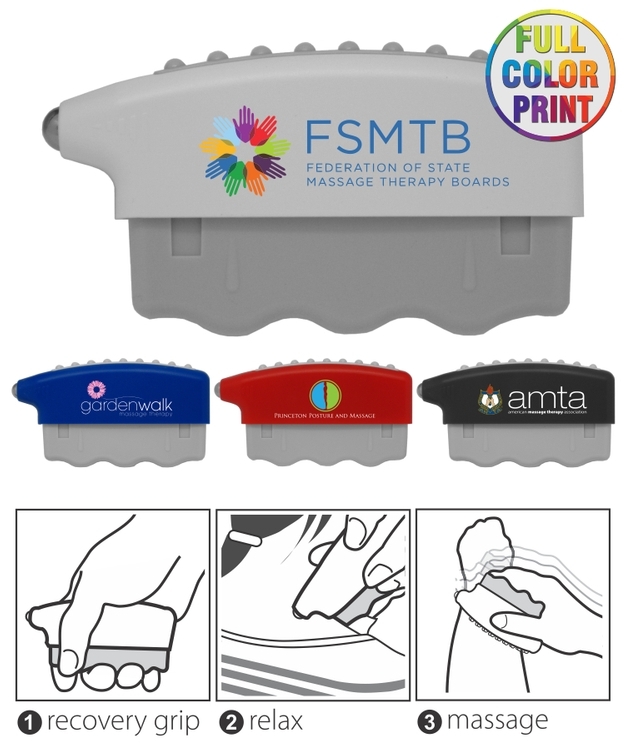 Your company logo is imprinted Full Color on the Front. Decorated in our Union Shop - Union Bug Available at No Charge! • Imprint Area: 2" x .5"